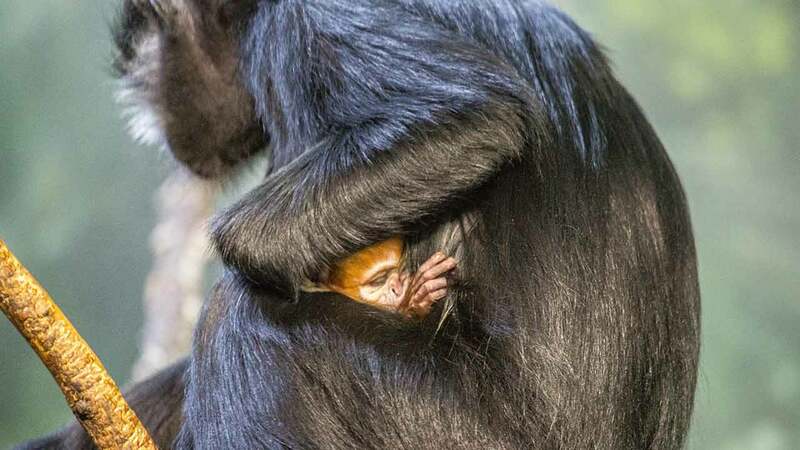 CHICAGO (WLS) -- The Lincoln Park Zoo is now home to a bright orange baby Francois' langur, which was born Thursday, a spokesperson for the zoo said. The Francois' langur is considered endangered by the International Union for the Conservation of Nature. The baby is the sixth offspring of Pumpkin and Cartman, and is joined by siblings Kieu, Orla, Pierre and Chi, who also live at the zoo. Officials say measurements of the newborn have not yet been taken, as it is still clinging to adult females. Visitors can see the baby at the zoo's Helen Brach Primate House.